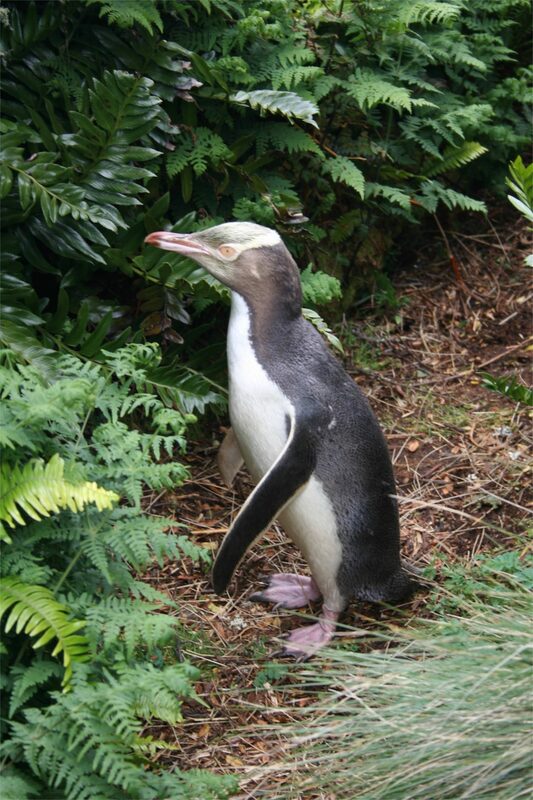 From the 23rd-30th of December 2013 I was given the opportunity to join Rodney Russ and his team at Heritage Expeditions on board the Spirit of Enderby for a week long adventure to the New Zealand Subantarctic Islands. 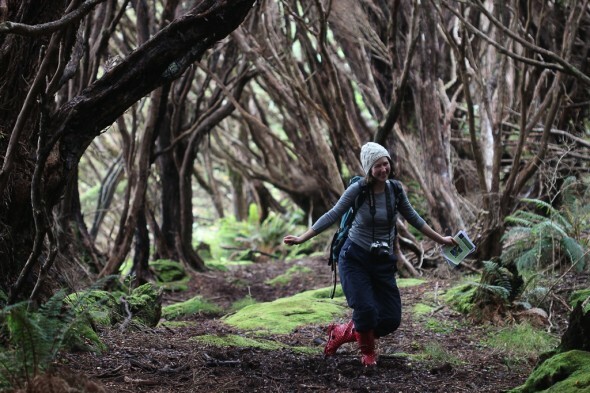 The Heritage Expedition Trust awards several scholarships each year to help young people get to this magical place. I applied not only because I thought this sounded like an amazing opportunity in general – Fields of mega-herbs! 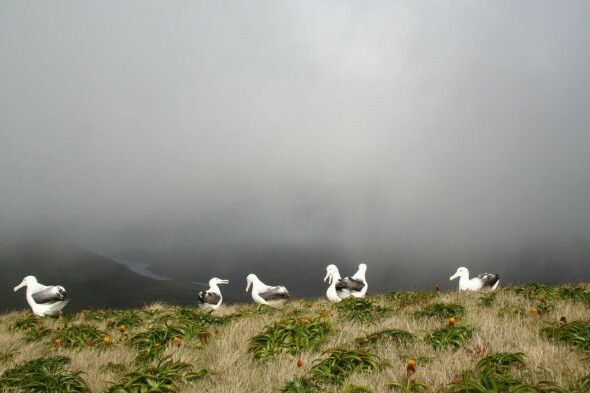 Albatross colonies! A week on a boat in the middle of the Southern Ocean! – but also specifically because I am doing my PhD researching New Zealand native forget-me-nots (genus: Myosotis, Family: Boraginaceae), and I knew there were two species growing on Auckland and Campbell Islands that I wanted to include in my study if possible. 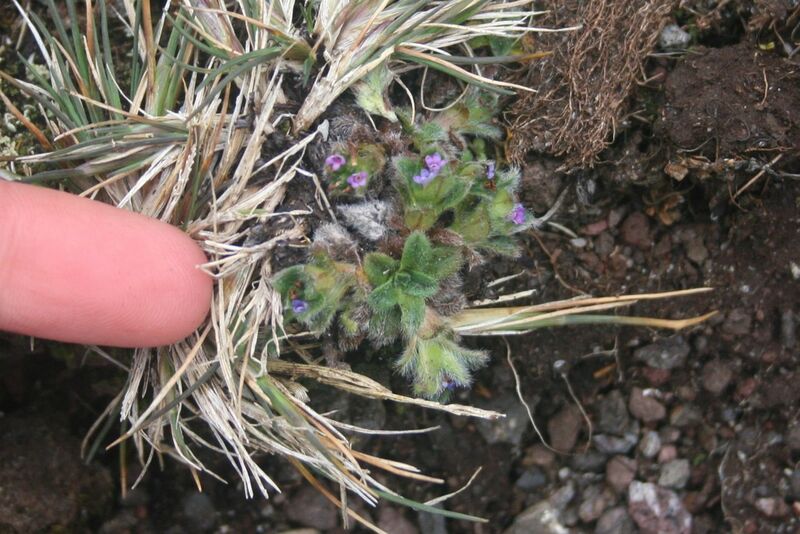 My research focuses on how many species there are in the “pygmy” group, which includes the smallest forget-me-not in the world, Myosotis brevis. 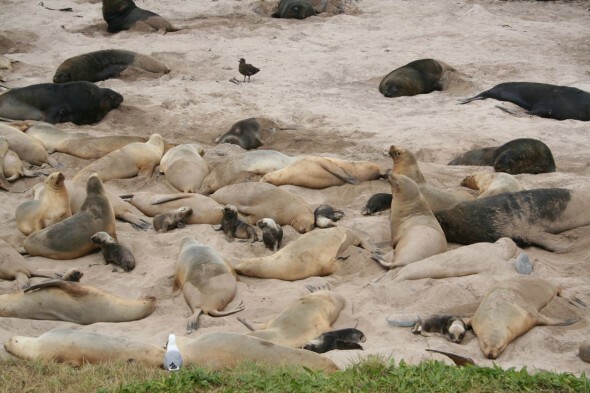 I am also looking into the genetic differences between rare/ threatened vs. common species. On Campbell Island there is one species – Myosotis antarctica – which is morphologically affiliated with the Myosotis pygmea group, so I was really keen to include it in my population genetic research. The aim is to determine how M. antarctica fits in with the group genetically, and determine whether it is in fact a distinct species from its mainland relatives. It was an absolutely amazing trip. 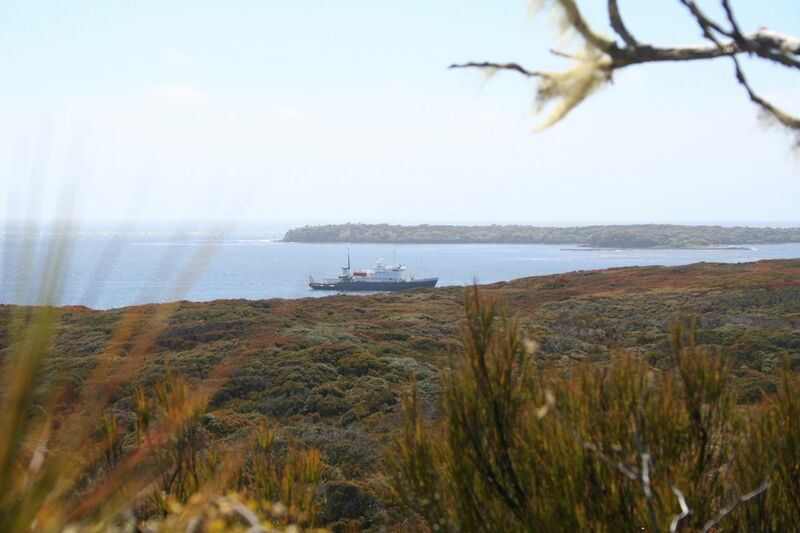 Christmas on Auckland Island surrounded by flowering southern rata (Metrosideros umbellata) at the site of the old Hardwicke Settlement? Yes please. 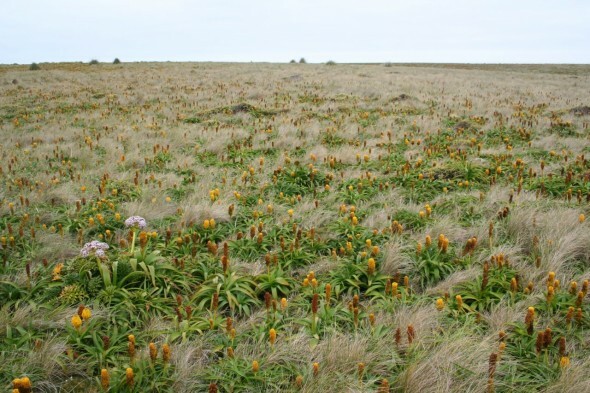 Boxing day on Enderby Island in the midst of sea-lion pups, yellow-eyed penguins and fields of mega-herbs (Anisotome latifolia, Stilbocarpa polaris and Bulbinella rossii)? If you insist. However it was Campbell Island that was the absolute highlight for me. We had two perfectly calm and even sometimes sunny days despite being in the latitudes known as the furious 50s, and I revelled in fields of mega-herbs (Pleurophyllum speciosum, Pleurophyllum creniferum, Anisotome latifolia and Stilbocarpa polaris) dotted with the magnificent nesting southern royal albatrosses. 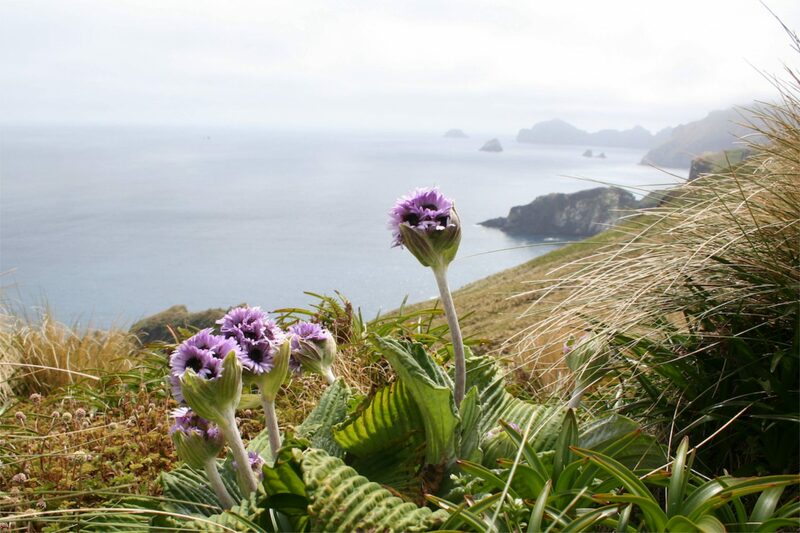 Following the successful rat eradication project on Campbell Island in June 2001, the mega-herbs are coming away and are truly a breath-taking sight. 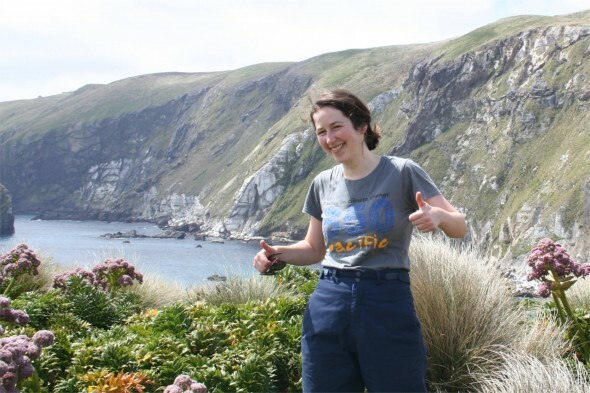 If you want to see what a happy botanist looks like, take them to Campbell Island. The New Zealand Subantarctic Islands are collectively a UNESCO World Heritage Site and as such are given a high level of protection. Visitors are only allowed access to certain areas and are prohibited from removing flora or fauna from the islands. However, I had a collection permit specially granted by the Department of Conservation (DOC) for me to collect Myosotis specimens for my research. DOC are interested in the conservation implications of the eventual outcomes of my taxonomic and population genetic work on pygmy forget-me-nots, and have been very supportive of my research. 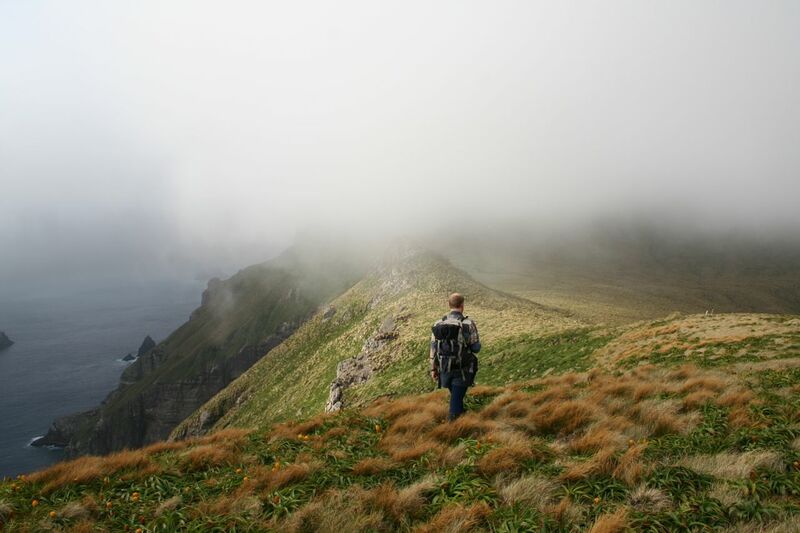 The permit allowed me to collect an herbarium voucher from each of the four populations I visited on Campbell Island. 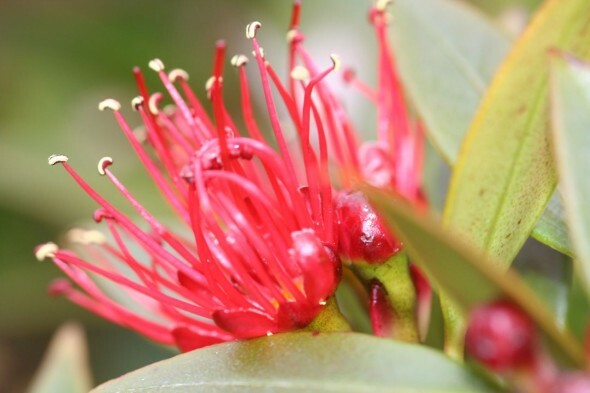 The voucher specimens will be lodged at the herbarium of the Museum of New Zealand Te Papa Tongarewa (WELT). I was also allowed to collect a single leaf from 10 plants from each population, from which I will extract DNA and include in the population genetic study. Rodney and his team were wonderful hosts, and it was great having such a knowledgeable team of guides to help us interpret the landscape. They were also very supportive of my research. I was particularly lucky that Alex Fergus was on board as the resident botanist, as his knowledge of the flora and enthusiasm for running up mountains made finding my plants a lot easier. These islands are very special places, well deserving of their UNESCO World Heritage status, and it is very important that we continue to actively conserve their flora and fauna. If you get a chance to visit I would definitely recommend an adventure on the Spirit of Enderby. This is fascinating stuff. I love the perspective shots to show how wee the forget-me-nots are. And as for mega-herbs, I had not heard of those before and am well blessed to know them now. The “Campbell Island carrot” is quite the plant. Thanks for sharing!